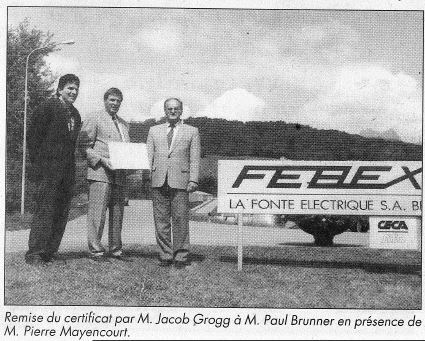 It was just 20 years ago that Febex qualified for and received its first ISO 9001 certification. Currently, we are renewing our various ISO certifications: ISO 9001:2015, ISO 14001:2015 and OHSAS 18001:2007. The common denominator? Our Head of Laboratory and Quality: Pierre Mayencourt. 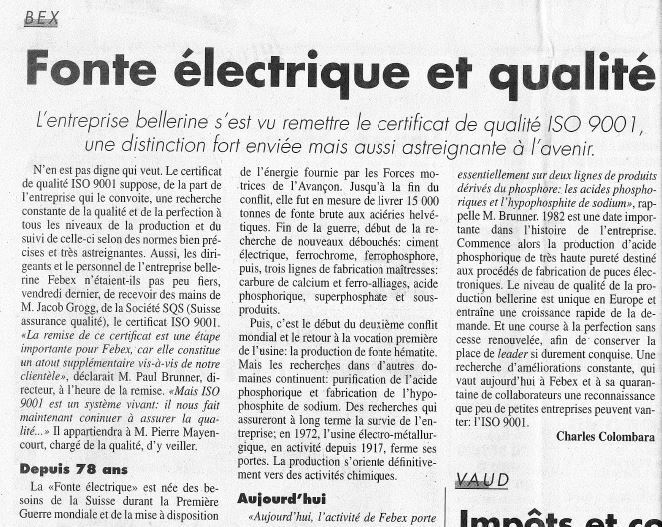 Pierre, what does the ISO standard mean for Febex? Simply put, I would say that ISO is a universal language enabling the development of even more relationships with clients, as well as with all the company’s stakeholders. This accomplishment was made possible through the will of the management to integrate this management system for the conduct of business. Another point that I find of particular interest is the new perception of errors. Replaced by non-conformities, this is now an indicator that will contribute to our continuous improvement. What major developments have occurred over the last 20 years? The integration of ISO standards has considerably improved over the years. Today, we speak of Integrated Management Systems (IMS). The approach by process has empowered the different parties in the company. Tools and software, such as databases and spreadsheets, have enabled the company to get rid of a rather cumbersome system and to progressively reach an almost paperless solution. The abundant catalogue of standards heralds other, future innovations, which will contribute to maintain Febex’s position as market leader. « Electric melting technology is now part of a limited number of companies that are in possession of this certificate. It contributes to improve the company’s image with all its stakeholders: clients, suppliers, authorities and neighbors. […] It would be most regrettable and extremely detrimental for us, if the results of all this hard work were only short-lived”. He was right, and, after our re-certification, we are proud to say that the efforts deployed have been sustained. Only the vision has changed, along with the markets and their constraints: for Febex, ISO is the key to improving the work methods and tools used on a daily basis.